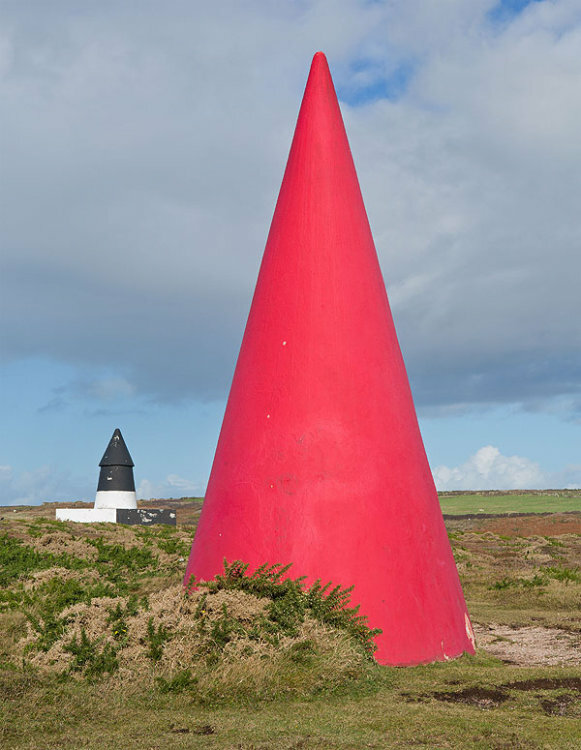 Conical markers are interesting features of the landscape above Gwennap Head. The markers help mariners locate the Runnel Rocks. When at sea the black and white marker should always be kept in sight in order to avoid the submerged rocks nearer the shore. A buoy above the reef has a wind activated siren / bell , which sounds mournfully in choppy seas.